These guys are fancier than a Christmas tree! It's just a week before December. You know what that means…Christmas is just around the corner! Wherever you look, there are flashing lights, Christmas trees, Nativity dioramas, and other yuletide decor on your neighbor's house, schools, malls—and even facial hair. Yup! You read that right. 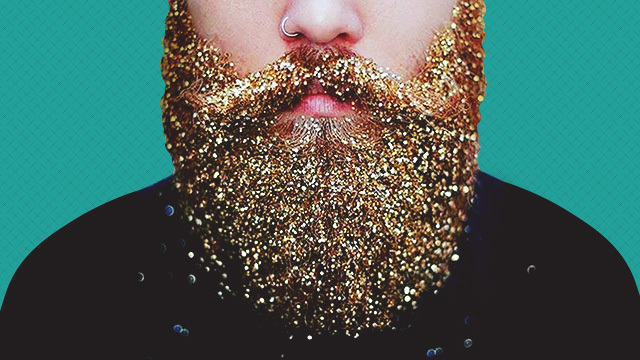 Some men are putting glitter on their beards, moustaches and eyebrows to nail that festive look. A quick search on Instagram of #glitterbeard brings up a slew of guys with the shiniest guy-trend this side of the North Pole, glitter beards! Good luck removing the flashy facial hair! PLANET WOMAN: These Ladies Tell Us What Men Should NOT Wear On A Date!